We are in the height of dance competition season. While that can mean fun times with our teammates and lots of opportunities to perform publically; it also can mean STRESS! Now that I have two competitive dancers in this house, the possibility for stressful things to happen has doubled. The first competition of the season, at 6 am from the hotel room, we realized that we had forgotten the hair accessory we lovingly refer to as, “dead rat.” Tears commenced. We went through one dance number without it. Thankfully, another girl found that she had one tucked into the recesses of her cosmetics case. My littlest dancer was set for the rest of the day. This week’s competition was going relatively well. Okay, on the first day we did break a tap shoelace. 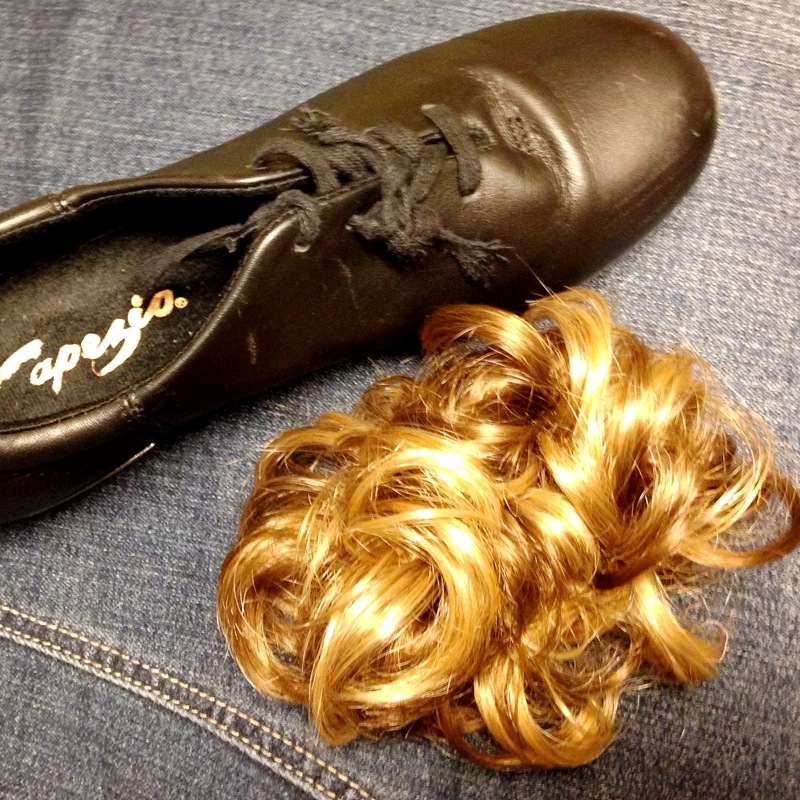 Nothing a dance mom MacGyver could not fix. The second day of competition, my daughter was only in one song. A no worries, stress free kind of day right? 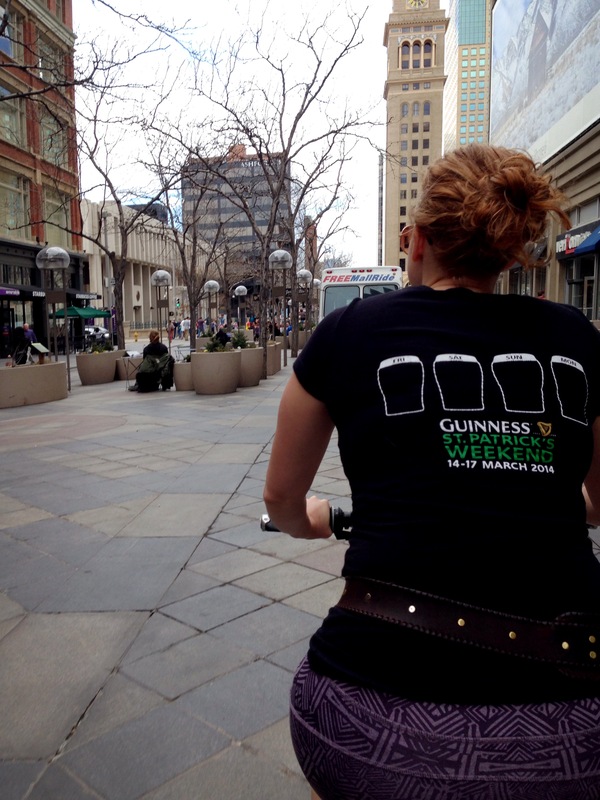 So, we went early and decided to hit up Denver’s 16th Street Mall. We had lunch at Hard Rock Café, and it took far longer than we anticipated. By the time we finished eating we had received a text from another dance mom. We were only a few songs out. My daughter was not in costume and we were blocks away from the venue. I grabbed her arm and we ran, leaving the rest of the family sitting at the restaurant. The free mall transportation bus was nowhere in site. She started to cry and I was trying hard to keep my explosive stress persona in check. We jumped aboard – our first rickshaw ride ever. Then she took off so fast we felt like we were hanging on for life. She weaved in and out of traffic at a frightening speed. Eventually she took to the sidewalk shouting, “On your left, your left!” at the people ambling by. It was so crazy that I decided to try and take a picture to commemorate the situation. I almost dropped my phone after the first shot and it went back in my purse. And I laughed because somehow, the most stressful part of the weekend was also the best. Wow, that’s a story to remember forever!